On our one year anniversary, we share highlights from our accomplishments. 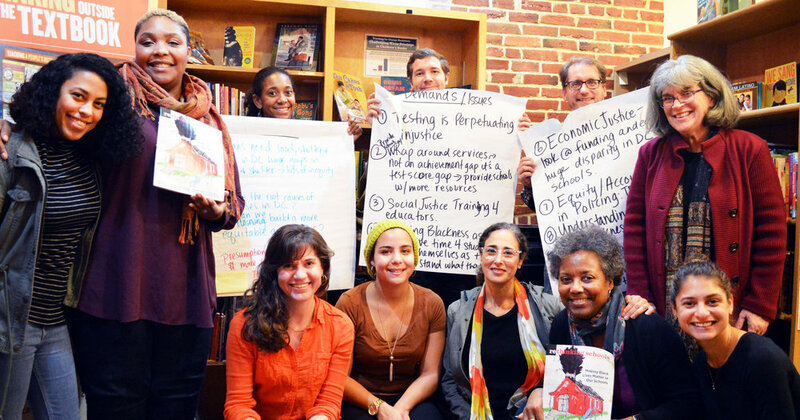 In the spring of 2017, Teaching for Change contacted social justice educator networks from around the country to collect ideas about what they did and how they were organized. 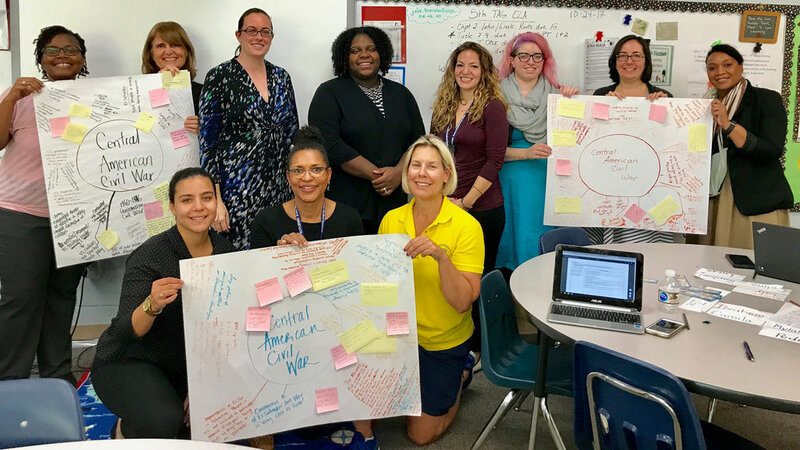 We then held focus groups to explore those ideas and shape the vision for the DC Area Educators for Social Justice, and formed an advisory group. Faye Colon led this inaugural year of establishing, nurturing, and documenting the D.C. Area Educators for Social Justice. After the violent white nationalist rally in Charlottesville in August, we collected and posted stories about how teachers responded in the classroom. Gabby Arca described the monuments her third graders made out of foil paper that represented the positive rules of respect they wanted for their community. Our first public event was the Indigenous People’s Day Curriculum Night with three teachers, three high school students, and a representative from the National Museum of the American Indian. Teachers shared their lessons and students described their campaign to #AbolishColumbusDay and establish Indigenous People’s Day. In the spring, close to 100 D.C. area educators filled the Blackburn Center at Howard University for a teach-in on the hidden history and relevance today of Reconstruction. The guerrilla wars my father fought in [in El Salvador] had more American involvement than I thought. I learned that people can get assassinated for doing the right thing. I learned that there are a lot of brave and powerful leaders in Central America. Instead of being taught false history we should be taught the untold truth. 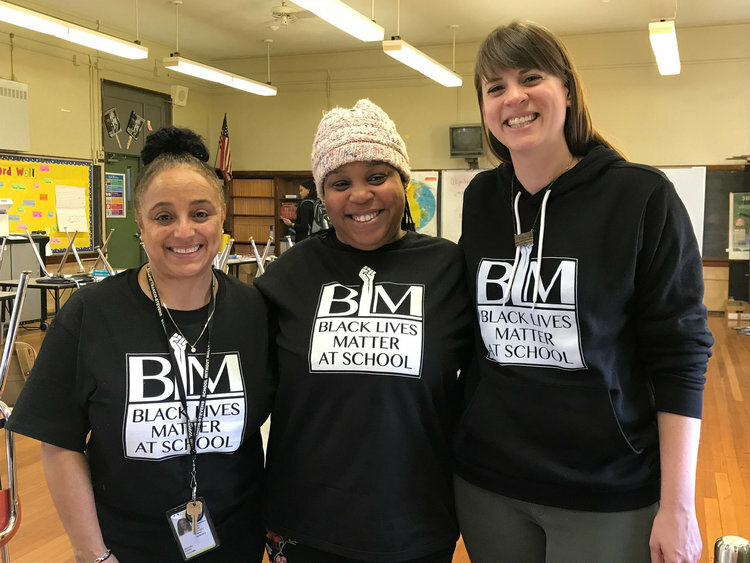 After a series of meetings in the fall and winter to engage teachers citywide, Teaching for Change and colleagues from the Center for Inspired Teaching turned the tables on the traditional curriculum by bringing Black Lives Matter lessons to more than 100 pre-K to 12 classrooms during the Black Lives Matter Week of Action in Schools. Teaching for Change developed and offered teacher workshops for the National Museum of the American Indian, Anacostia Museum (on Central America and D.C. history), the Portrait Gallery, and the American Art Museum. In each case, the partnerships developed with the museums will continue for years to come. Faye visited dozens of classrooms and wrote stories about the lessons she saw. This helped give visibility to social justice teaching – helping to recognize and share the approaches of many powerful D.C. area teachers. These included lessons on Columbus, Central America, and the Civil Rights Movement. We had an enormously successful launch to this long overdue network in the D.C. area and have laid a firm foundation for the years ahead.